Renting office space as a leaseholder hasn’t changed much over the years. After lengthy contract negotiations with landlords, going over fit out costs, bond, inclusions, options and reviewing the agreement clause by clause;Leaseholders commit to a finite and fixed amount of space for years at a time. It’s easy to get spooked looking at long-term leases. When you look around at commercial office space you quickly notice a couple of things: there’s not much of it out there and it’s expensive. Vacancy rates are in the low single digits with many older buildings being repurposed for residential use and the pipeline of new office stock pretty thin which puts Landlords in the driving seat. Signing a commercial lease is a serious commitment. Not only do you need to ensure you’ve done the best possible job reviewing the conditions, engaging the right legal team and negotiating the best deal. You also need to be sure that you’ve got your business plans spot on. What will your business look like in two years time? How many staff will you have? Where will your customers be? How much space will you need? It’s not surprising that with the challenges faced by modern businesses, the property market has evolved to provide solutions for businesses that want to focus on their core business and not worry about office space. Coworking and shared office spaces arrived to fill the gaps of the traditional long-term lease model. In fact what used to be considered an alternative is now very much the norm. So, what are the alternatives to taking a long-term lease and how do they work? Coworking is the term given to a work environment, typically an office, where businesses and individuals from different companies work under one roof. Typically sharing common facilities, lounges and kitchens, meeting rooms and even internet and printing. 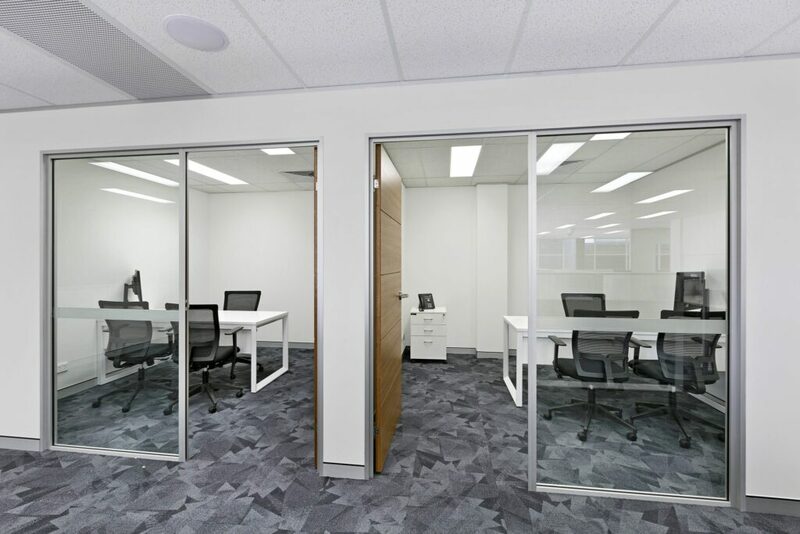 Often the offices are fitted out to a very high spec to attract and accommodate businesses of all sizes. They offer part time or dedicated permanent desks in open plan shared areas, and dedicated private offices accommodating individuals through to teams of a hundred or more people. Tenants are referred to as Members, and typically sign up for anywhere from one month a year. Coworking is big businesses. Today there are nearly 20,000 coworking centres around the world and some of the big operators are multi-billion dollar companies. WeWork is only eight years old and already valued at over $US20 billion! employees are one of its fastest growing segments and account for over 20% of its membership. For businesses sharing space in Coworking spaces there are plenty of benefits. But Coworking spaces aren’t for everyone, and unless carefully curated, they can feel like a hotel in the sense that you have no control over who else is staying. That’s one of the key reasons businesses decide to move on – not knowing who is going to site next to you and the transience of people in some spaces. Shared offices are spaces where one business, the Host, runs their normal business from there and are either the owner or have taken the head lease on the property. With permission from their landlord to licence spare office space they’re not using they rent to other businesses, their Guests. With outgoings included in the monthly rent, including internet and cleaning, Guests also have access to meeting rooms on a fair usage basis. In fact shared offices look a lot like Serviced offices or Coworking spaces. Since any business with spare office space can be a shared office; the choice of where to set up your business is better than ever. A marketplace such as Rubberdesk provides the platform to find, enquire and book an office exactly where you want it. By curating who rents and shares the office, an ecosystem where like minded businesses can flourish. 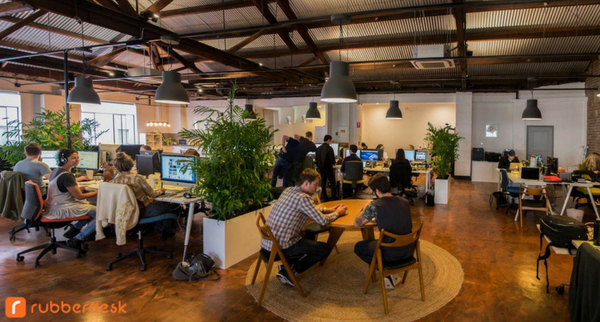 There are offices for Accountants, Lawyers, Creatives, Freelancers…. you name it there’s a place for you. Typically businesses stay put in a shared office for years at a time and that means that you’re not working in a zoo where strangers arrive and depart everyday. It’s more like having work mates around you – who you get to know and trust. The benefits of working in a shared office are tremendous. Whether a dedicated coworking space or an office shared with another business. As flexible as your business is, often more affordable than a long-term lease and with the benefits of surrounding yourself with likeminded businesses to network and collaborate with. It’s no wonder Coworking and Shared Offices hold the future of how we find a place to work. NexusHub is the new way to live and work on the Central Coast. We offer state-of-the-art workspaces at an affordable price. To find out more about how our spaces can help you collaborate, innovate, and network, explore our website or contact us for a discussion today.